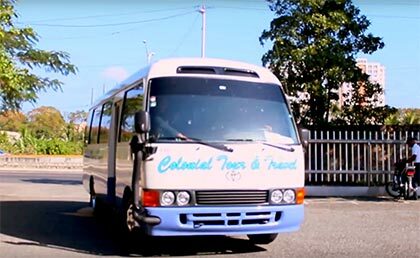 Colonial Tour and Travel is always offering the highest quality services to provide to our customers. Our Shuttle Airport Service provides tourist transportation in Dominican Republic with a high quality service in bus from all the airports and hotels in the Dominican Republic. Our tourist transport airport - hotels in Dominican Republic allows us to offer a quality service at the best prices in the market. 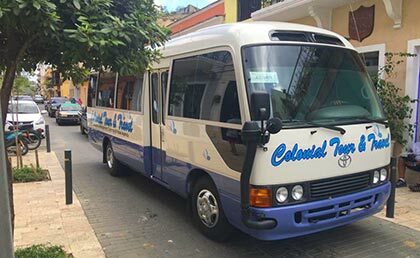 Colonial Tour and Travel has a fleet of new and constantly renewed according to the requirements of the Ministry of Tourism of the Dominican Republic. 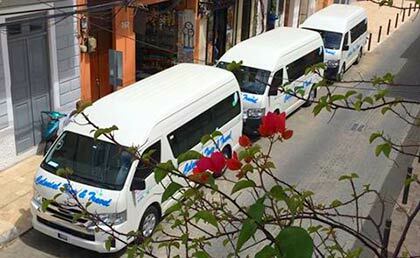 We are also supported to the most efficient firms of tourist transportation in the Dominican Republic. These companies are properly supervised and approved with all security measures and insurance policies required by government of the Dominican Republic. All our autobuses are equipped with air conditioning and luggage compartment. Large capacity buses have bathrooms and minibar. 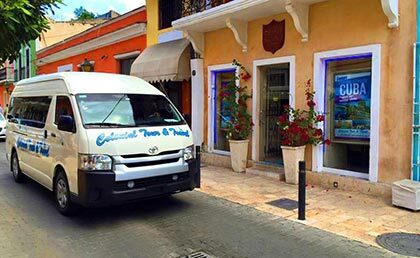 Our drivers have a vast experience and knowledge, properly uniformed and equipped with radio, cellular phones and monitorized by our Central Office in Santo Domingo, ensuring optimum quality and safety to our Tour Operators clients, groups and individuals, reducing almost to 0% annual accident rate in tourist services. The precision and professionalism in our service transfer Airport - Hotel has earned us an excellent reputation on the international market with all the International tour operators we represent in the Dominican Republic. We have professional assistants in hotels and airports in the Dominican Republic, in addition to our branch offices in major tourist destinations in the Dominican Republic ; Puna Cana- Bavaro , Boca Chica, Bayahibe -La Romana , Las Terrenas Samana and Central Office in Santo Domingo. We have assistants in all the hotels and covering all the airports of the Dominican Republic, besides our branch offices in the main tourist destinations of Dominican Republic: Puna Cana-Bavaro, Boca Chica, Bayahibe-La Romana, Las Terrenas-Samana and Head Office in Santo Domingo. -Transport in comfortable air conditioned buses from all airports in the Dominican Republic to the Punta Cana-Bavaro, Bayahibe-La Romana, Boca Chica, Juan Dolio, Puerto Plata, Las Terrenas, Samana, Santiago and Santo Domingo hotels. - Assistance and coordination of our staff who will receive them with posters with your name and will lead them to the buses. -Transport in comfortable air conditioned buses from all hotels in the Dominican Republic to enjoy the most beautiful landscapes and to know wonderful places of our country and exciting adventures that you will never forget. 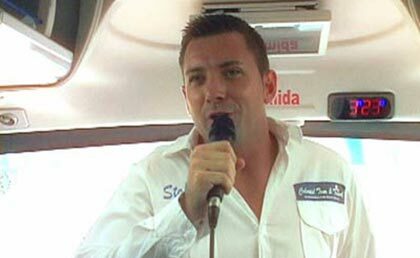 -Adjustment of our assistants during the journeys as well as professional guides and multilingual experts. 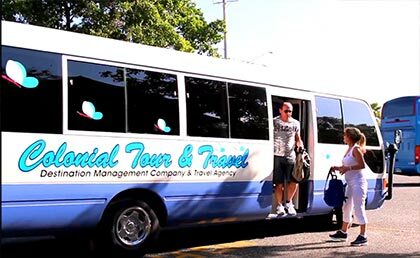 Our group transportation service is exclusive in comfortable air conditioned buses to and from all hotels in the Dominican Republic to enjoy the most beautiful scenery on the way. Accompaniment of our assistants by each bus as well as our professional guides and multilingual experts. Optionally we offer service of drinks and snacks in the buses .. Porter service that will carry the luggage of the clients of the airport to the buses. - Book transfer airport - hotel now! !